US Speedo is the only aftermarket company able to offer you a complete replacement lens. Made from the same injection molding process that the OEM's use to make the lens that you currently have in your vehicle. The lenses are very easy to install and change. They snap off in one piece. US Speedo has designed these for the most popular models. Complete your interior gauge transformation with a new lens from US Speedo! All new lens designs are available! 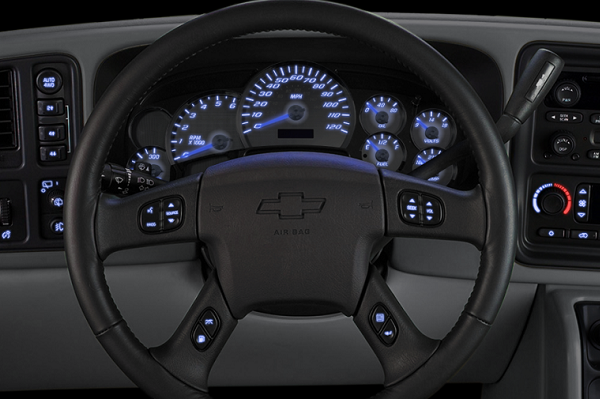 If you want a custom look for your GM, Ford, or Chevy Truck or SUV, US Speedo has you covered. Vehicle Accessories carries a complete line of US Speedo products. Stop by any of our locations in Flint, Bay City, Clarkston and Lansing or call us Toll Free at 1-866-820-2119 for pricing and availability. If you don't see a product that you were looking for, please give us a call so that we may assist you.